Identify Canadian prospects registered on the National Do Not Call List. The Canadian National Do Not Call List (DNCL) was introduced in 2008 by Canada's CRTC with the objective of limiting undesired telemarketing calls to consumers who register their number on the federal DNCL database. If you violate Canada's DNCL rules you may suffer from hefty fines issued by the CRTC. Fines start at $1,500 per violation for individuals. For a business the fines from the Canadian federal government begin at $15,000 per violation. DNCL Phone Scrubbing: How does it work? Our phone scrubbing software detects matched records, flags them, and removes the bad non-compliant phone data from the original file. Upon completion of the scrub, the clean file is sent to you via email. By removing prospects in your phone lists that are registered on the National DNCL, your firm can become compliant with the DNCL, and avoid the federal government's crippling DNCL non-compliance fines. In order for The Lead Boutique Communications Corp. to flag your records with those registered on the National DNCL, your organization is required by the CRTC to be both registered and subscribed to the National DNCL. Once you're registered and have purchased a subscription, we will require your Registration Access Number, Subscription Access Number, and Download Key in order to process your file. *The CRTC does not allow The Lead Boutique to provide DNCL scrubbing without our clients being registered with the CRTC and having an active DNCL subscription. 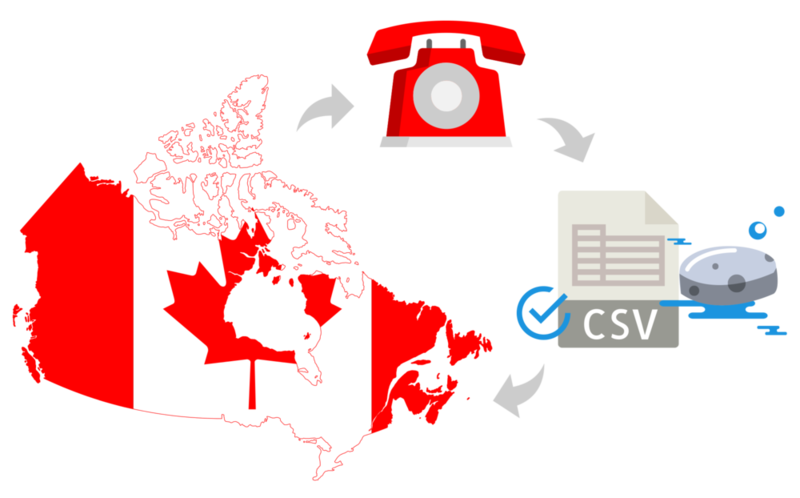 what's needed to proceed with a Canadian phone database scrub? We make the process of getting you DNCL compliant as seamless as possible. Scrub your Canadian Consumer Phone List and get DNCL compliant from $295. If you require an immediate phone compliance quote, please fill out the form below, or CALL 1-844-404-LEAD and we'll get in touch with you soon!